We are proud to present the latest English Tree venture. A place we want you to call ‘home’. A place you can find out about what’s going on in Central Japan. A place with information about daily living, recreation, the latest in entertainment, news, travel and so much more. And a place where you can find shops and services that have the English speaking support that can make your shopping experience a joy instead of a trial. It’s simple to use and you can see right away whether a place has an English Speaker Available or is a customer of our English Speaker Supported Service Centre. Business Portal: We are determined to promote as many foreign and Japanese owned businesses as we can whilst maintaining the integrity of the Lifestyles Central Japan (LCJ). So you won’t get bombarded with unwanted advertising and annoying pop-ups but can access shopping information when you need it. This also means you will have access to an unrivalled amount of information about shops, products and services in the central Japan area. Not only do we provide the shops contact details and type of service but also easy to understand instructions on how to get there, information and photographs detailing the stores services and products, special printable coupons that can be used in the stores and most importantly the level of English speaker support each shop can provide. When searching our business portal, look for the English Speaker Available and English Speaker Supported logos on each of the businesses listed. What’s more, each of the businesses who carry either (or both) of the English Tree marks will have the corresponding decals displayed at the entrance to their business, making it easy for you to identify the business’s level of English speaker support. Local bands, upcoming performance artists, theatre, events, the best places for your nightlife and much more is what you’ll find in our entertainment section. If it’s hot, then more than likely you’ll find it on our website. Have an opinion, review or entertainment hotspot you would like explored? Let’s us know as we aim to make this about the people of central Japan. If you like to travel, we have you covered. Not only will you find information on domestic and international locations but you’ll also get special offers, travel tips and stories from our correspondents abroad. You’ll find all the current news stories listed here plus some extras that will keep you better informed about life in Japan. Regular spots include Earth Watch, a section dedicated to the environment around us and Scam Alert, a section dedicated to keeping you aware of all the shonky practices you might run into or which might run into you. 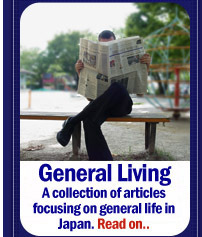 In this section you’ll find articles about social clubs, theme parks and ways you can unwind. If you like singing then this month’s main feature is for you. Take a look inside the Anointed Mass Choir which has performed with some of the biggest Japanese stars including Chie Ayado, DA-PUMP and Kyougo Kawaguchi (Song: Sakura). What’s more anyone can join the Anointed Mass choir and learn under Miyuki Kawahara a consummate professional and nationally recognized vocalist. Looking to experience the racier side of life, check out our ‘love hotel guide’ for an insight into these wonders of the Japanese night. Ever tried your hand at pachinko? Check our ‘pachinko guide’ to see what it’s all about and where to give it a try. These are just some of the guides our ever expanding specialty guide, features. 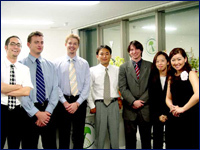 Information on almost every facet on surviving and thriving in Japan can be found here. From day-to-day living and health services to information on substance abuse and suicide prevention, we want to be the place you can come to for all kinds of assistance. Lifestyles Central Japan is all about keeping you connected with the community and following that vein, we want you to help us make this your page. In fact we are so determined to have this be a creative outlet for you, we have a page called ‘your page’. A place that will feature everything that the foreign and Japanese community in central Japan can offer. As great fans of music, theatre, writing, and movies we want to feature anything with the caliber to make our community laugh or cry and anything in between. Submissions can be mailed to info@englishtreejapan.com We can’t promise that everything will make it on but what does, will be worth the wait! Thanks for taking the time to look around. We know you’ll enjoy what we have to offer and hope to give you the best and only resource you’ll need.